Help File 2018 | Infonet Biovision Home. 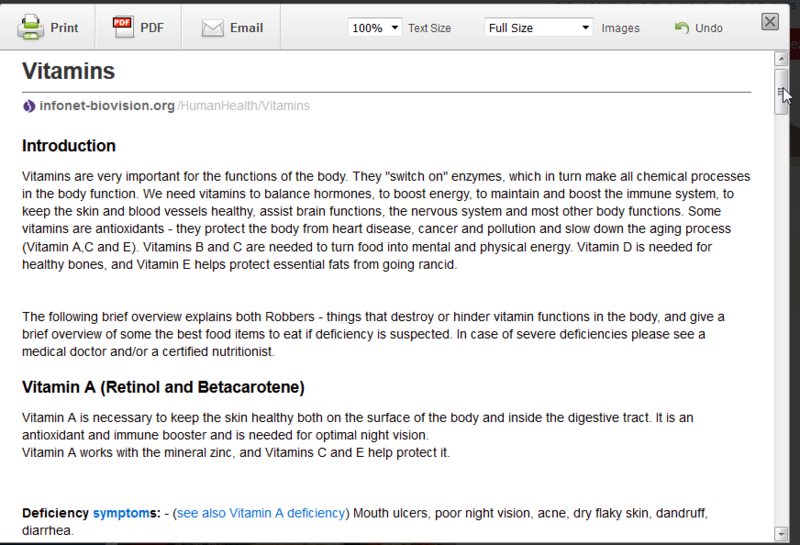 2.How do I Use Infonet-Biovision? 3.How do I order the Infonet offline version? 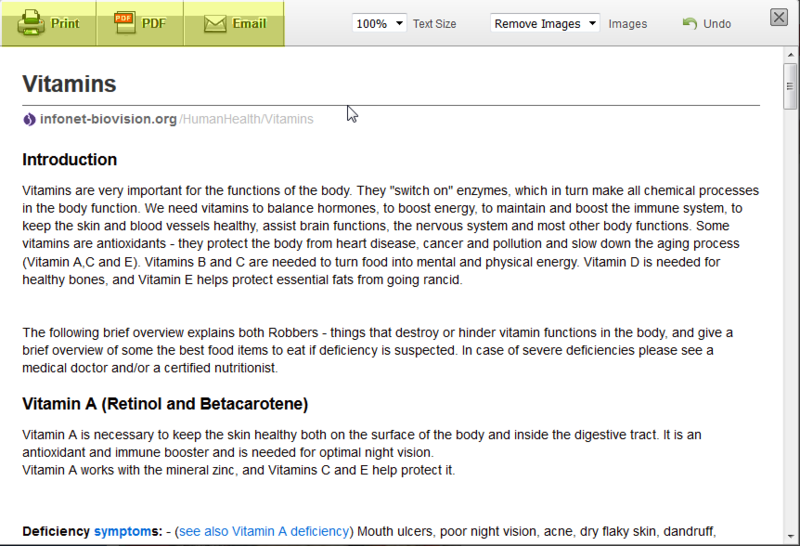 4.Where do I find information on Infonet-Biovision? 5.How do I resize Infonet-Biovision screen (font) size? 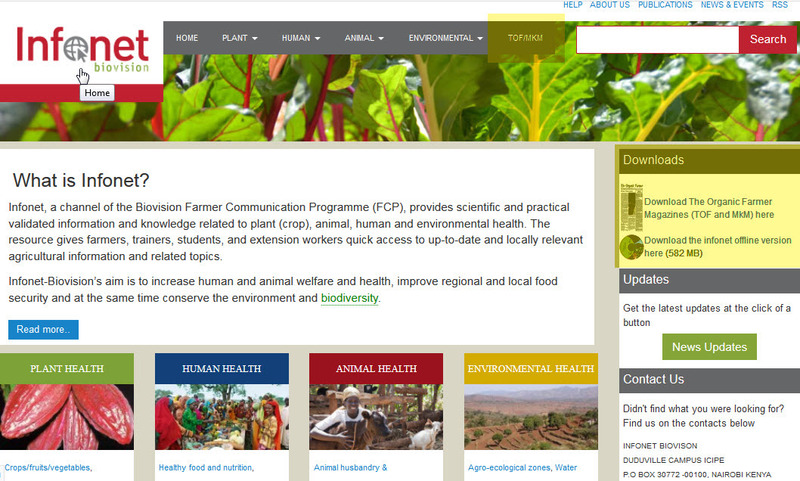 Infonet-Biovision is an information platform tailored to the rural population in East Africa. It offers information on sustainable agriculture and ecological control of plant, human and animal targeting pests and disease vectors. It also provides information on simple and environmentally safe technologies and approaches to improve the rural populations life and generate income while at the same time protecting the environment and the natural resources. Infonet-Biovision's aim is to contribute to poverty reduction and environmental protection by disseminating appropriate and locally adapted methods for crop and livestock production, and for human and environmental health. How do I Use Infonet-Biovision? 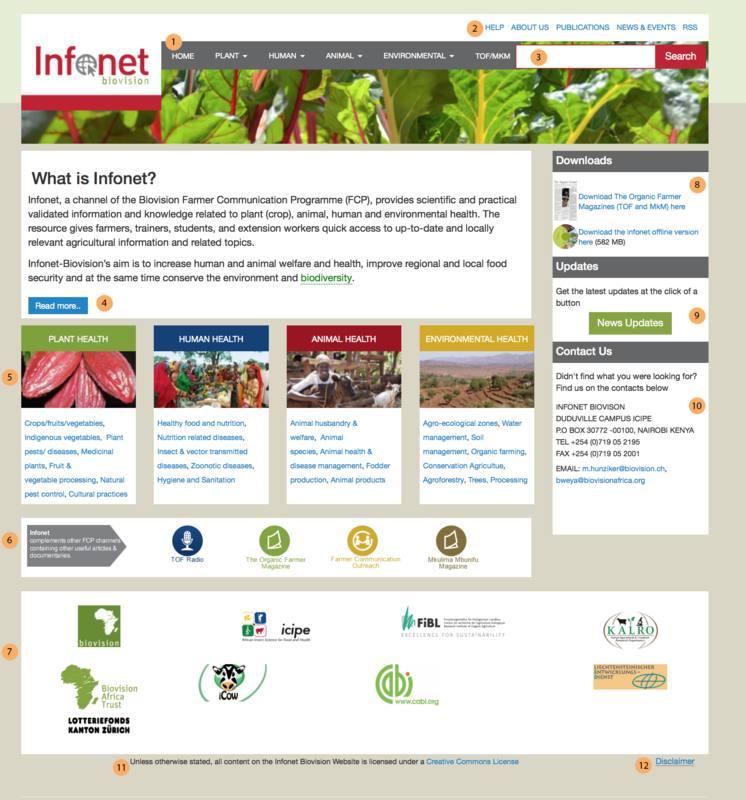 If you have internet access: All information provided by Infonet-Biovision if available online on https://www.infonet-biovision.org. 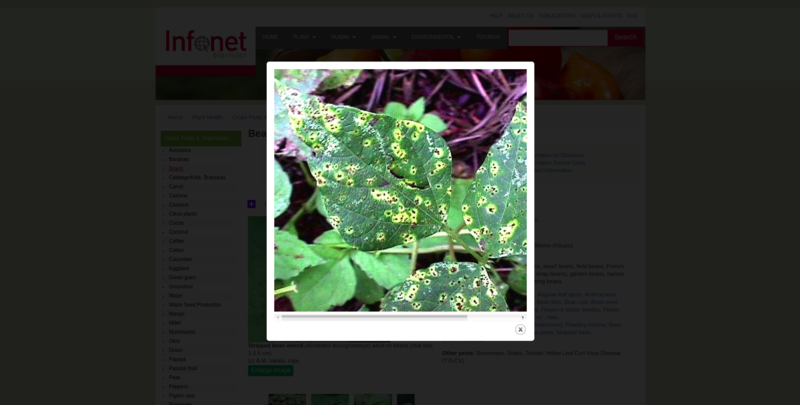 If you rarely have internet access: For reading the Infonet-Biovision contents without internet access an offline version of the information platform can be downloaded for free from the startpage https://infonet-biovision.org/downloadoffline. How do I order the Infonet offline version? 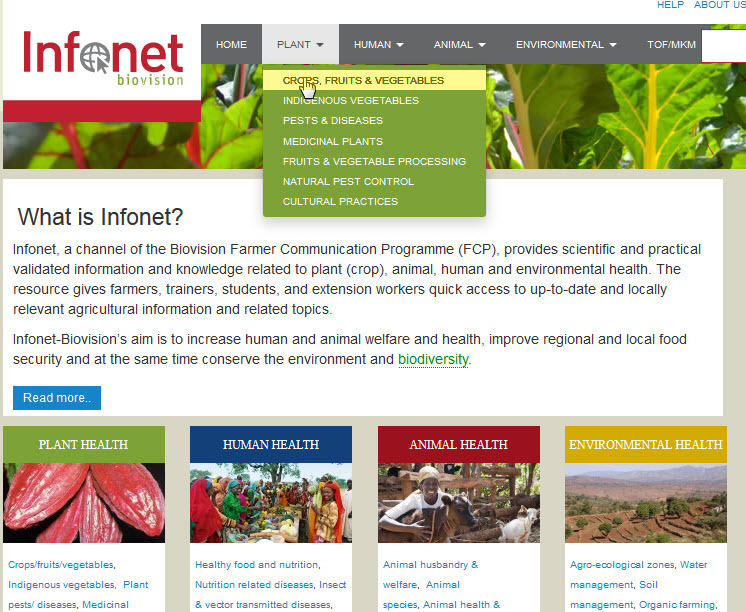 The Infonet offline version is useful if you do not have internet access but have access to a computer to read the Infonet offline. The Infonet offline version is available free for download from Infonet startpage. It is 1.5 GB in size. You can also order a USB Flash Stick which has the Infonet offline version, at a cost of Ksh 800. Contact for ordering the Infonet offline version: Farmers interested to receive the offline version need to contact Infonet through the phone number 0719 052195. Where do I find information on Infonet-Biovision? All underlined text elements are navigation links to a sub page containing more information. How do I resize Infonet-Biovision screen (font) size? To increase the screen (font) size; Press Ctrl button (while holding it down), repeatedly press the + button until you attain the desired font size. To decrease (reduce) the screen (font) size; Press Ctrl button (while holding it down), repeatedly press the - button until you attain the desired font size.To return to the original screen/font size; Press Ctrl button (while holding it down), press the 0 (zero) button on your keyboard. 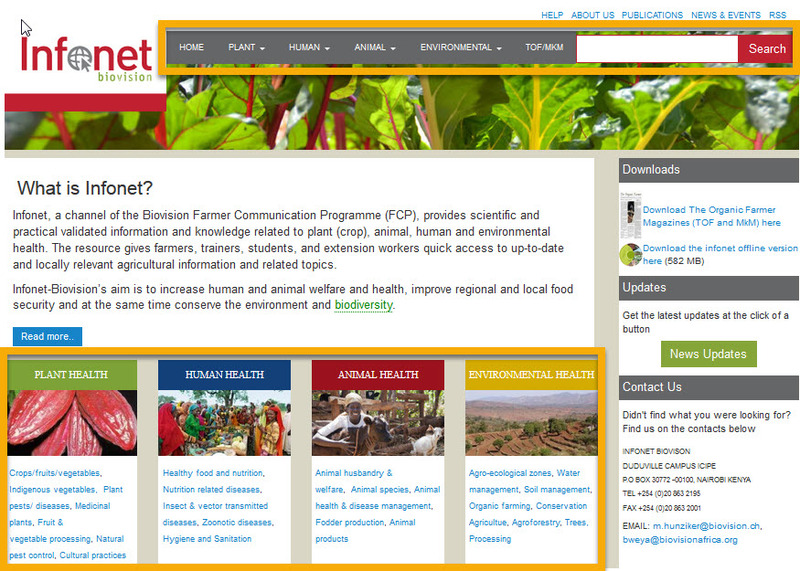 The main sections (plant, human, animal and environment) for information about sustainable agriculture, health and ecological methods are accessible by the horizontal image navigation bar. By clicking on one of the tabs, the selected main section will appear. 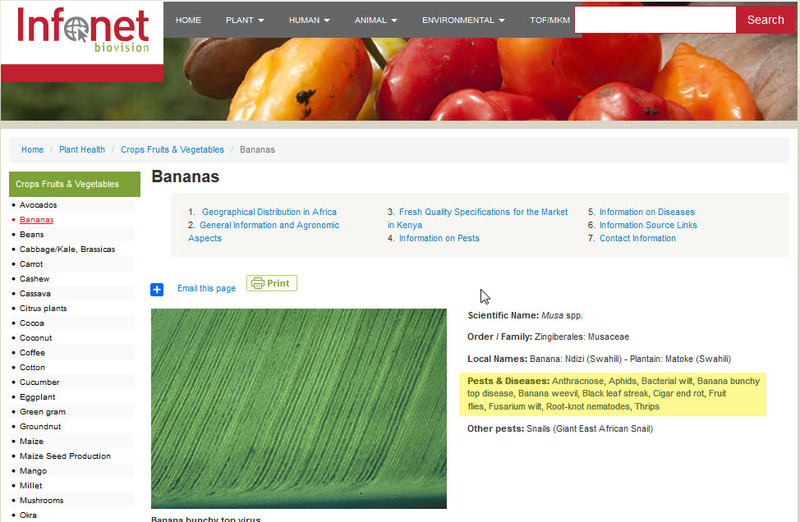 It has drop downs on each of the Menu Item that shows the categories under each content Item. 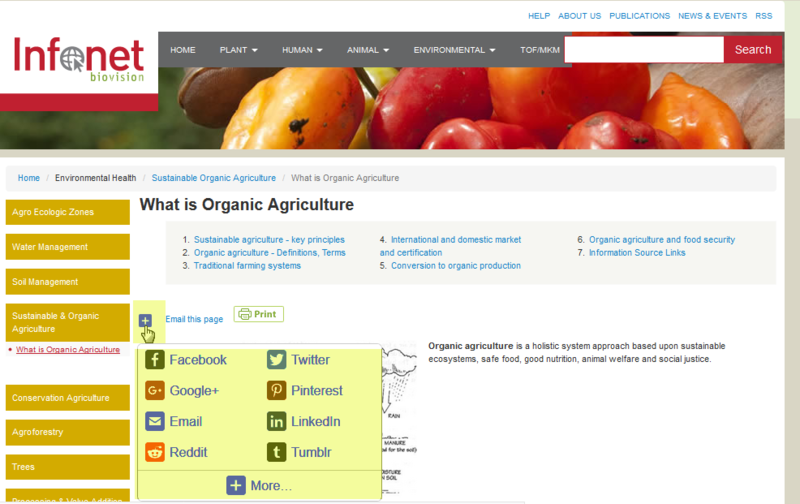 From the homepage you navigate directly to the category page. 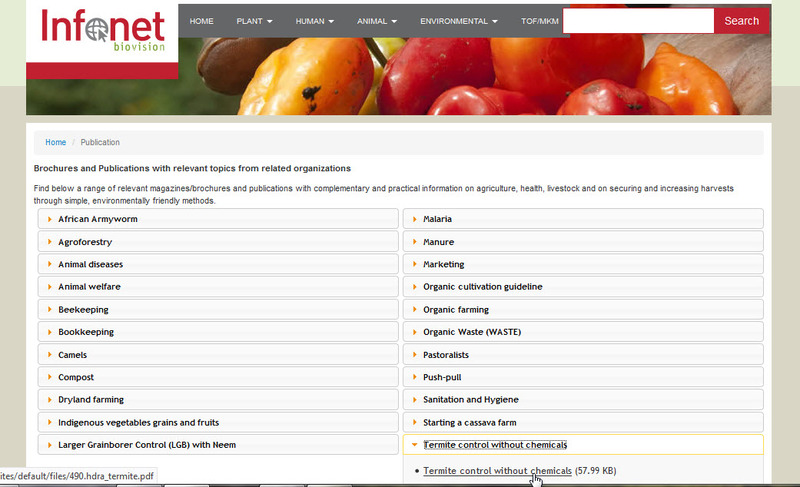 You can access Plant Health content via the top bar menu. 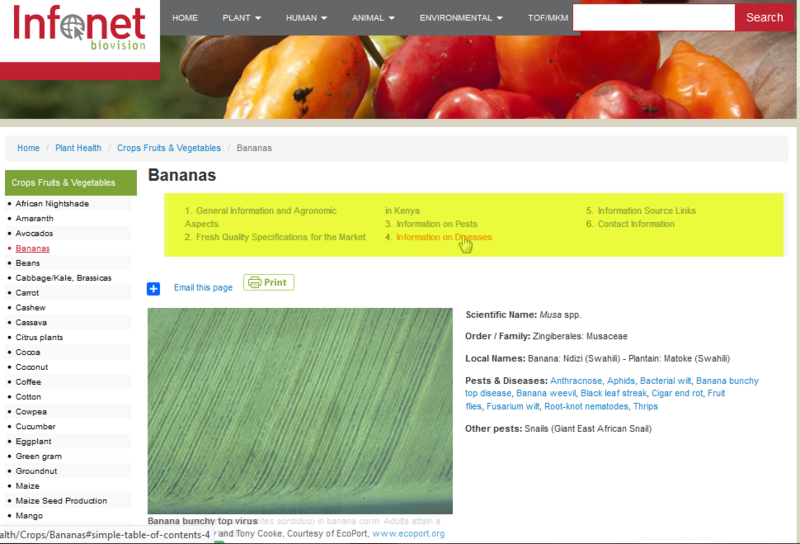 Find content with up-to-date information and images on plant health issues such as: plant pests and diseases, medicinal plants, husbandry of major crops, vegetables, fruits and grains, cultural practices, natural pest control and fruit and vegetable processing. 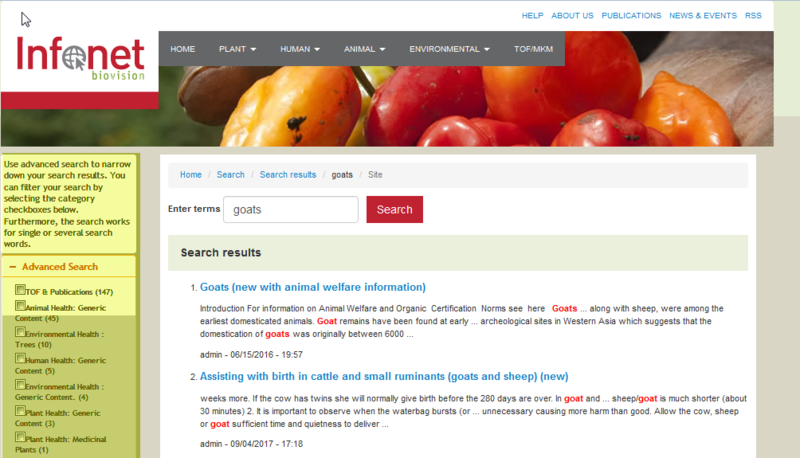 Find information about organic animal husbandry, animal welfare, animal diseases prevention and management for cattle, donkeys, chicken, camels, pigs, goats, geese, bees, rabbits, fish-farming and pets, livestock health and disease prevention, livestock products and fodder production. Find information on integrated and preventive control of malaria and what to do on individual and community level. 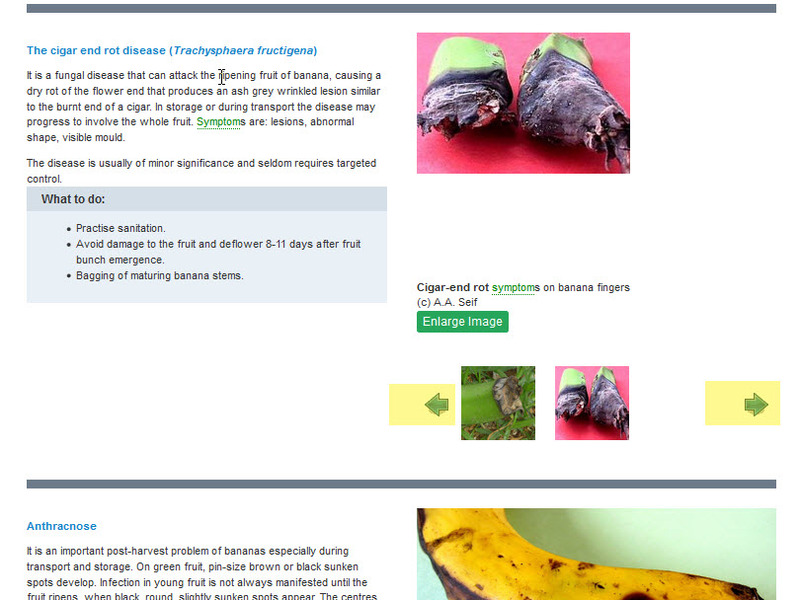 Also contains information on nutrition related diseases, zoonotic diseases, hygiene and sanitation. 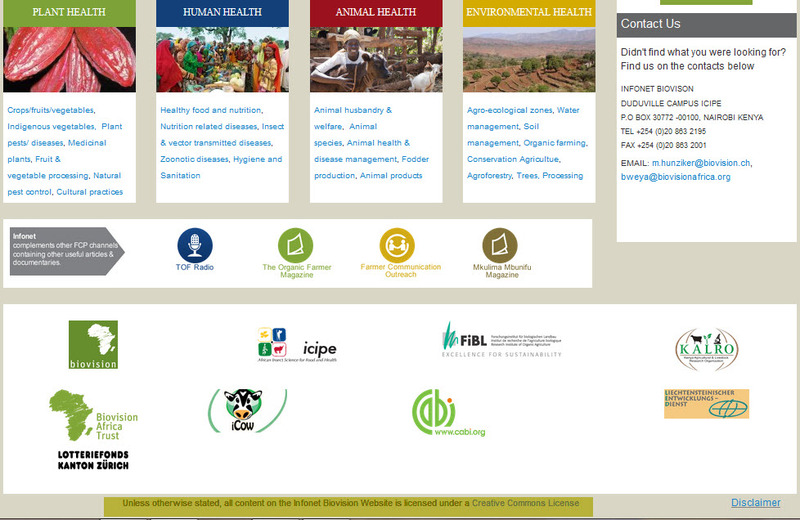 Find simple and environmentally safe technologies and approaches, water management methods, soil conservation, organic agriculture, conservation agriculture, agroforestry, trees, agro ecological zones and income generation methods. The Organic Farmer (TOF) and Mkulima Mbunifu (MKM) magazines are systematically arranged in descending order, starting with the most recent edition. To read an issue, click the issue title. TOF Modules are short manuals on specific topics. One can search for TOF magazine/TOF Module by issue or keyword. 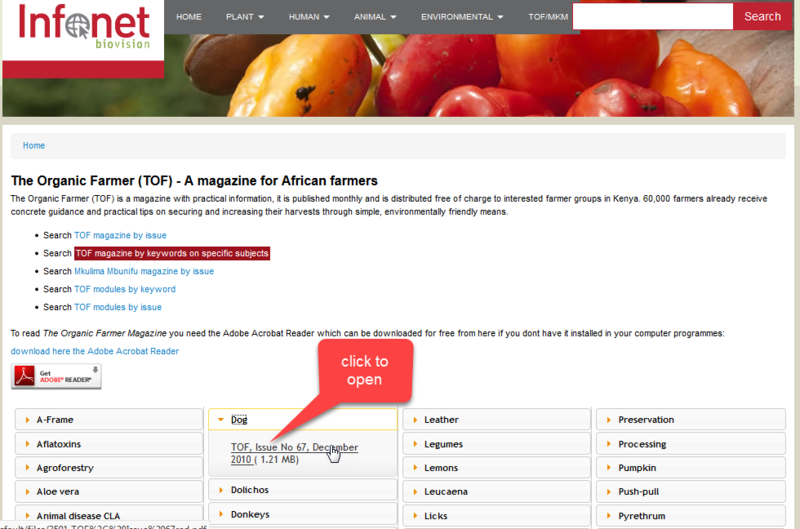 Click on Search TOF magazine/TOF modules by key words. To read an issue, click the download link. You can either open it with Adobe reader or save it to your device. MKM (Mkulima Mbunifu Magazine) is a magazine produced monthly with practical information on sustainable and eco-friendly farming practices in Swahili. 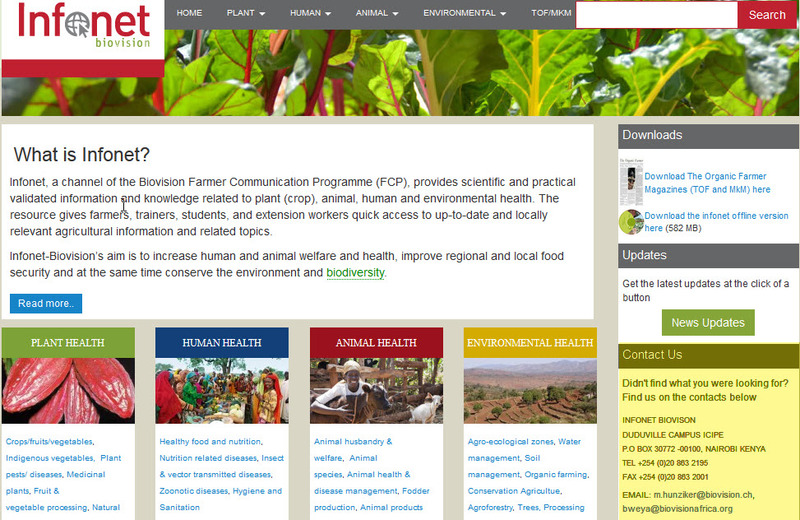 The magazine is distributed in hardcopy to farmers and institutions in Tanzania. MKM is also available in electronic version and can be searched by issue number. To open a particular MKM issue or to save it to your device, click on the download link. To search the entire website, enter the search item and click on search button. The search results will be displayed in the search results page. Click the title to open specific pages. At the bottom of the search result page is an indication of how many pages have the search item. Upon getting a search result from your initial query, you can refine your search by clicking on the advanced search which has several filter options. If you want to narrow down your search to a specific area, tick the various chapters as appropriate. To go back to the full search results, unclick the selection/selections from advanced search box. 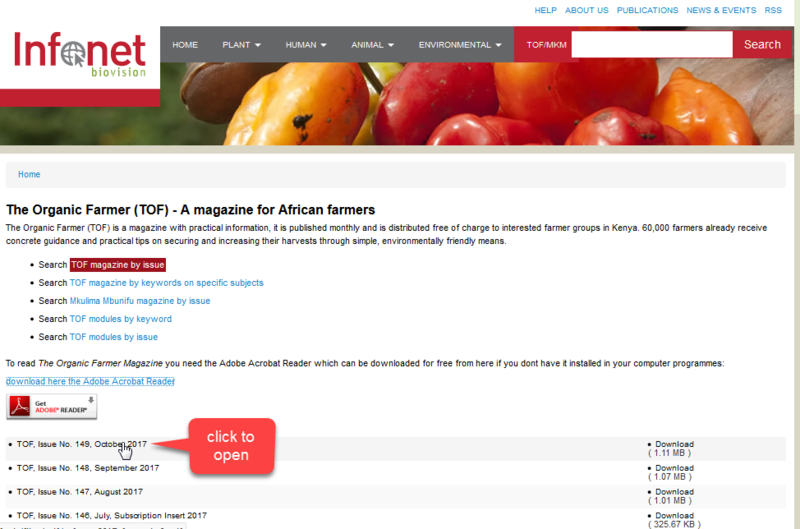 To search a specific term inside a PDF article, open the TOF/MKM/Publication article by double clicking it or clicking download link. Hold down Ctrl + F buttons. 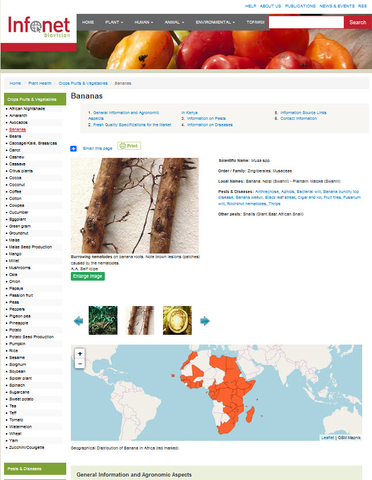 A search frame will appear at the bottom of the webpage. 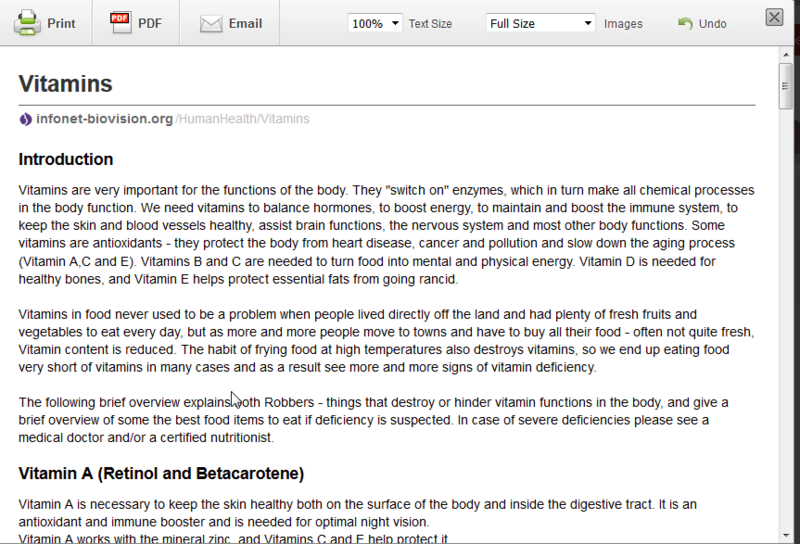 Type your search term, search term will be highlighted in the document. 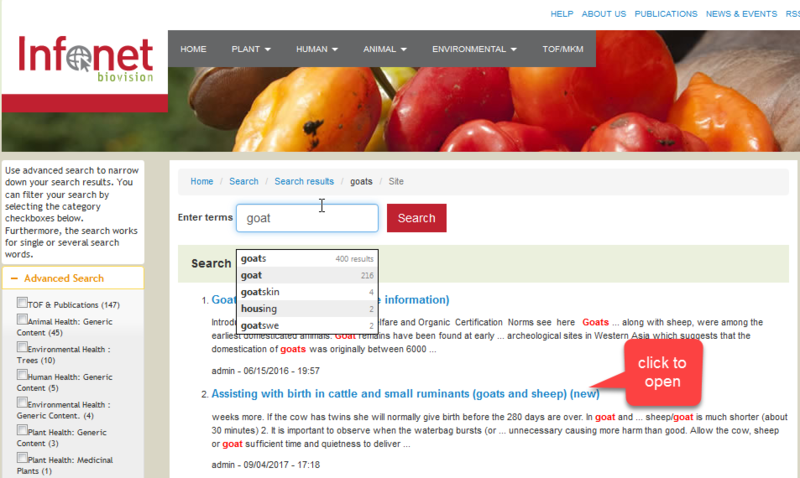 Refine search by clicking Match Case or Whole Words. Please Note: This Ctrl + F button search works on all datasheet and is very useful if you are looking for a specific term inside a datasheet. 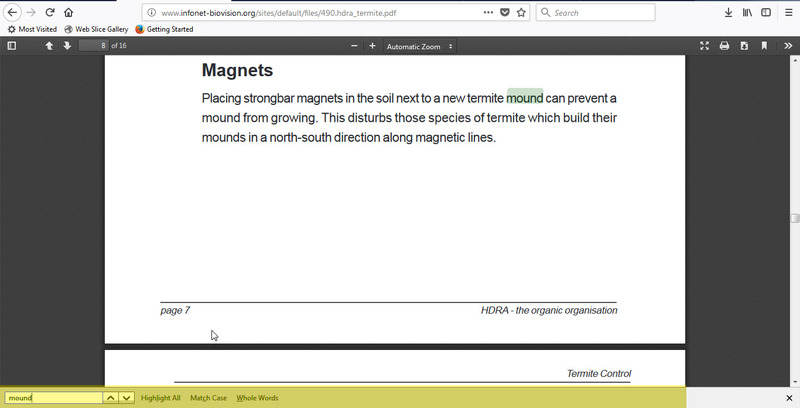 You can also search for a word in the html datasheets using Ctrl + F buttons. The Infonet quick preview is a nice way of gaining entry into the website. 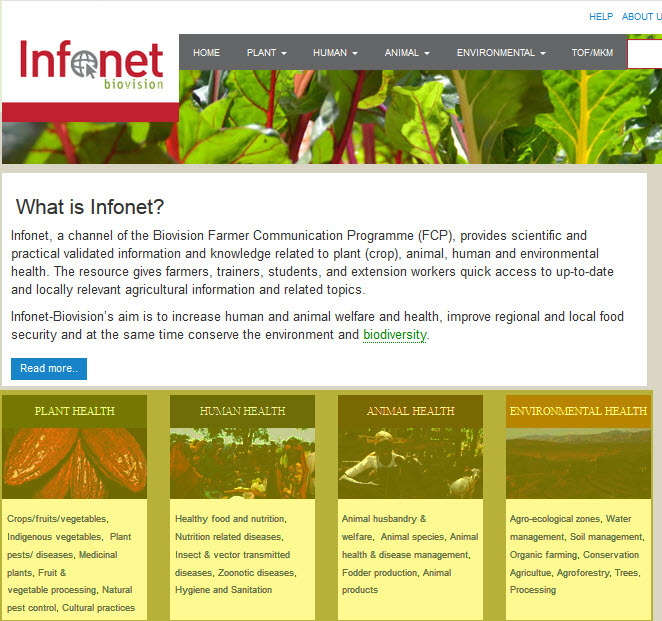 It provides an overview Infonet content. It contains four blocks, each pulling content from its respective H. Clicking on the image, or the title of the article links you direct to the data sheet page. Below the 4 blocks are links (in blue), clicking any of this navigates to the particular chapter. clicking on a chapter link from the quick preview takes you directly to the datasheets in that chapter. From the chapter level, you can now navigate either through the thumbs (little images) or via the left side bar to access the datasheet level. From the search page, clicking on the search title will lead you directly to the datasheet/publication. Navigation at the datasheet level has been enhanced by having a table of content at the top of the page. The table of content contains titles (topics) within the pargcular datasheet. To navigate to a particular title, click the title in the table of content. 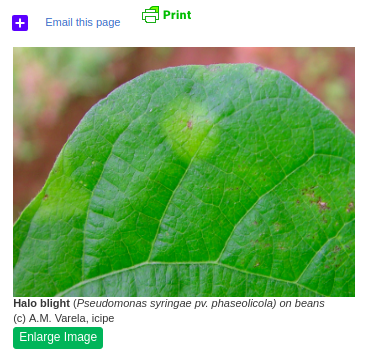 On the datasheet, you can enlarge an image by clicking the green button labelled "Enlarge Image" to view a larger size of one the datasheet gallery images that is in current view. 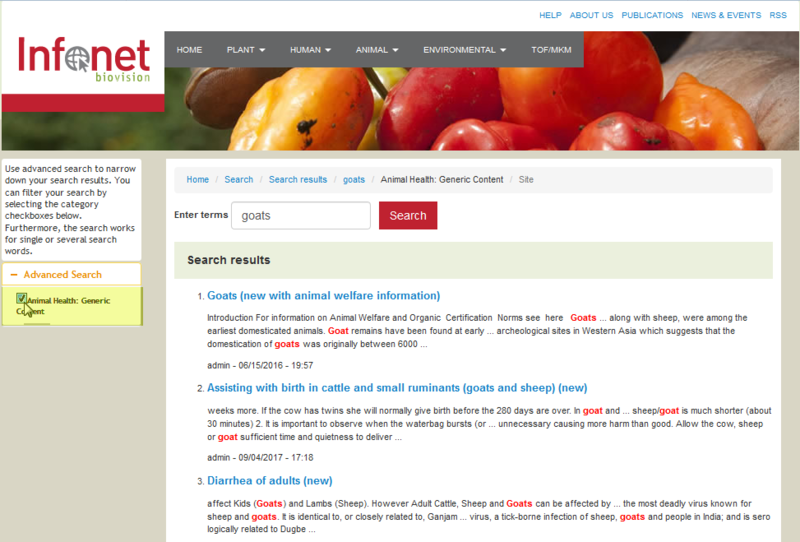 Information on pests and diseases affecting a crop can be accessed through the table of contents as shown above or by clicking on the links found in the header section. 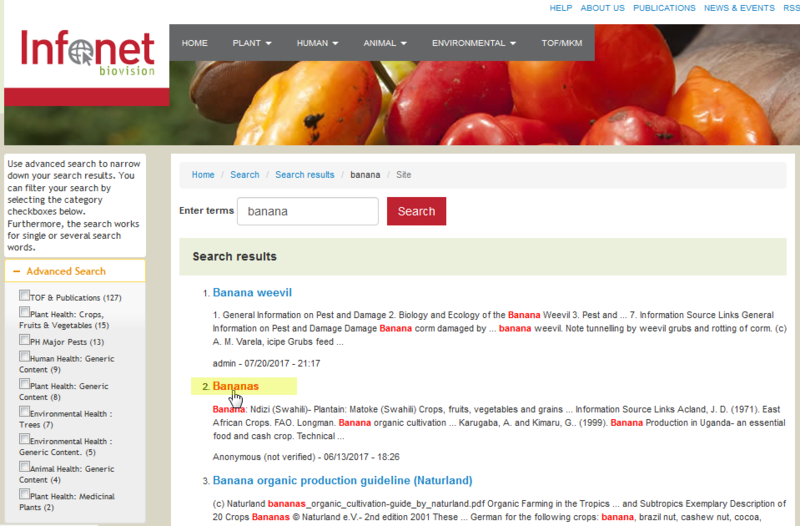 If you are interested in a specific pest, you can scroll down or jump down from the pest list beside the header image. 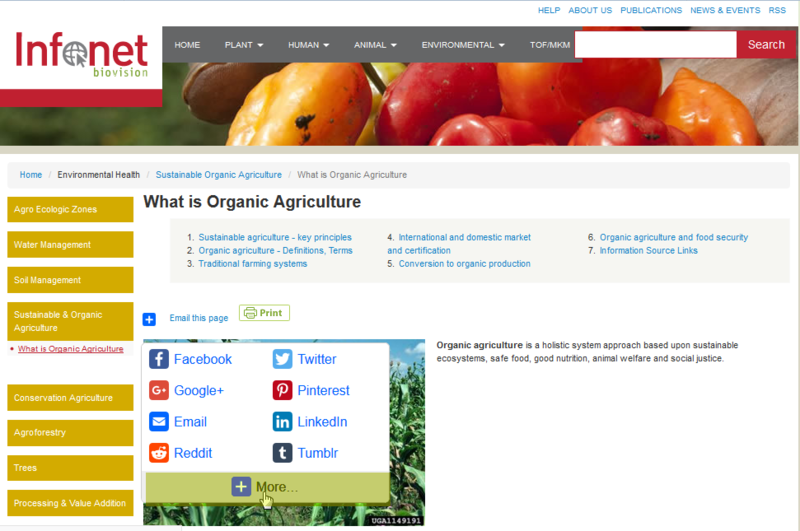 The links on the header section enable you to jump down to the pest modules which contain information about the pest/diseases and organic control measures 'what to do'. 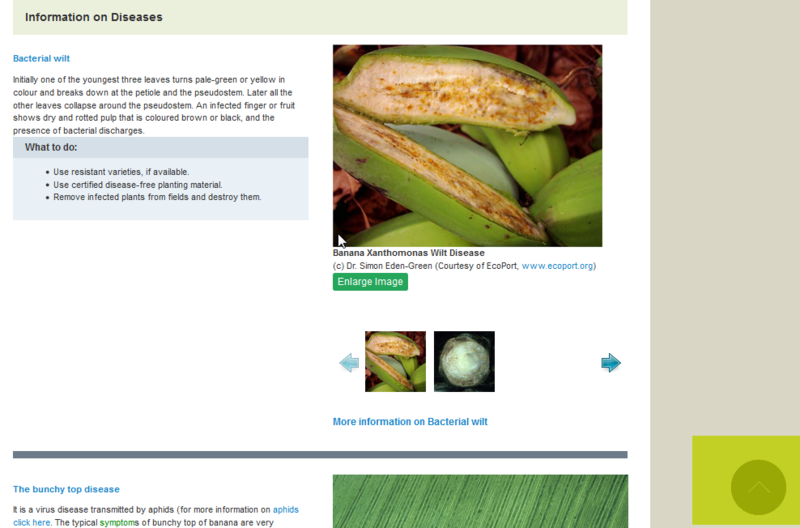 To scroll through pest module gallery images, click the forward or back arrows. 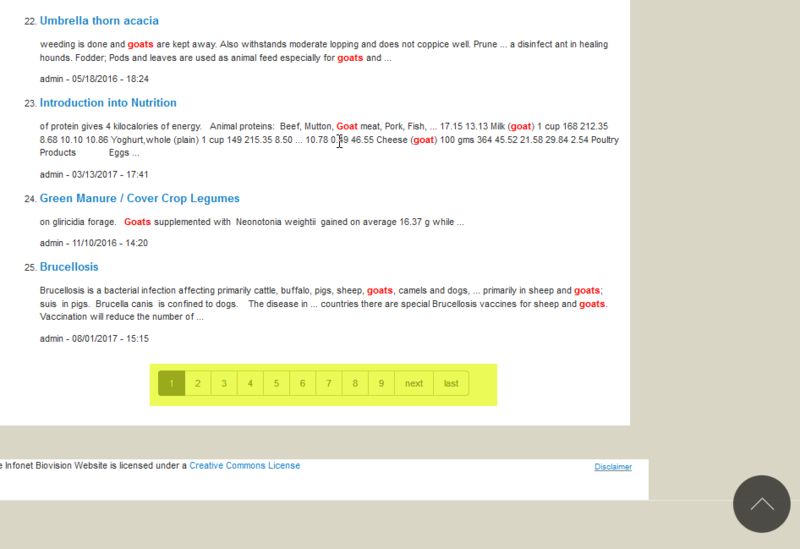 To get back to the table of content section clicks the back to index button as shown or scroll up the page. All Infonet content can be printed/send via email. On each page is a share icon, email this page link and print icon. On clicking it opens the document (intended for printing) in a separate screen as shown below. Once the document is open, you have the option of formatting your print out by removing unwanted sections. 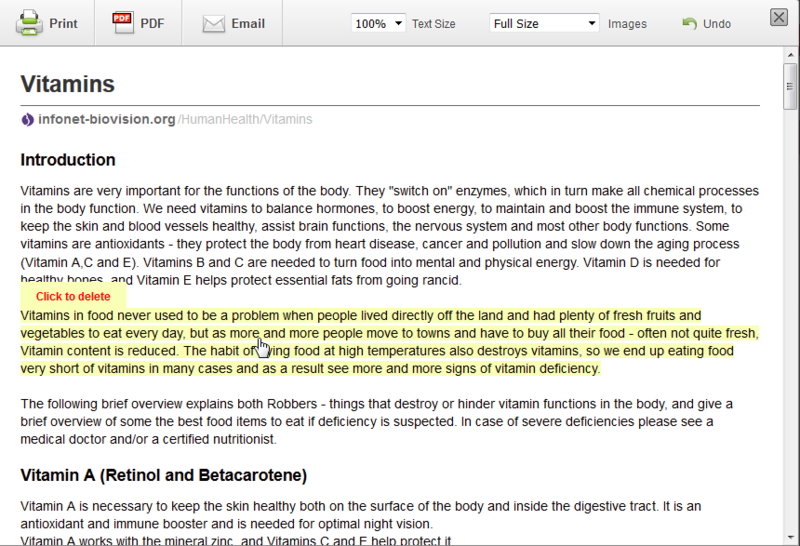 Click the highlighted section to delete a portion of the content (from printing). 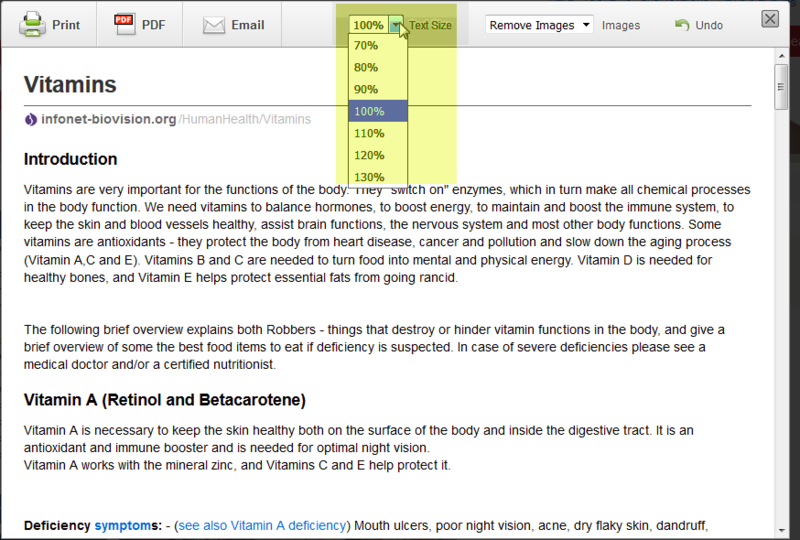 One can choose size of image to print or remove images in the content using the drop-down menu. 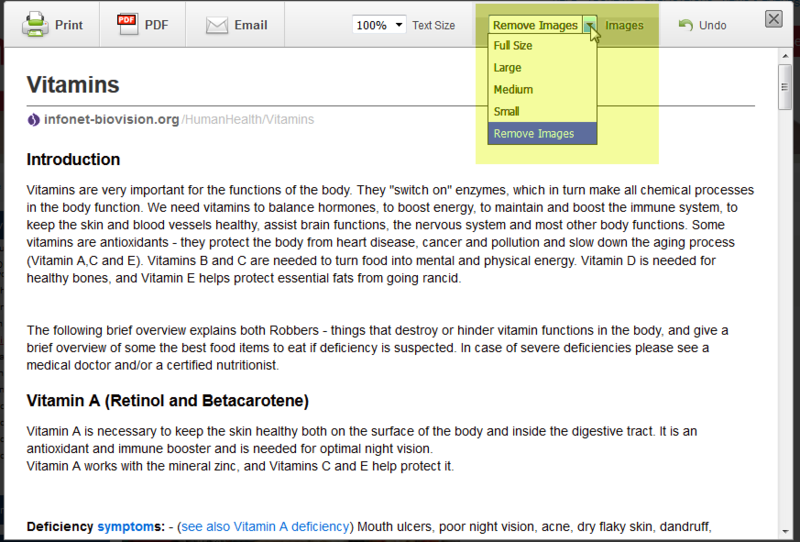 One can either increase or decrease text size using the drop down menu. Print the document by clicking the print button for the document to be sent to the printer. Save the document in portable document format (PDF), by clicking the PDF button. Email the document by clicking the email button. To forward a datasheet via email, click 'email this page' link. On the email page, enter your email address, your name, the recipients email, you're your personal message in the text box. Click send button to forward a page via email. 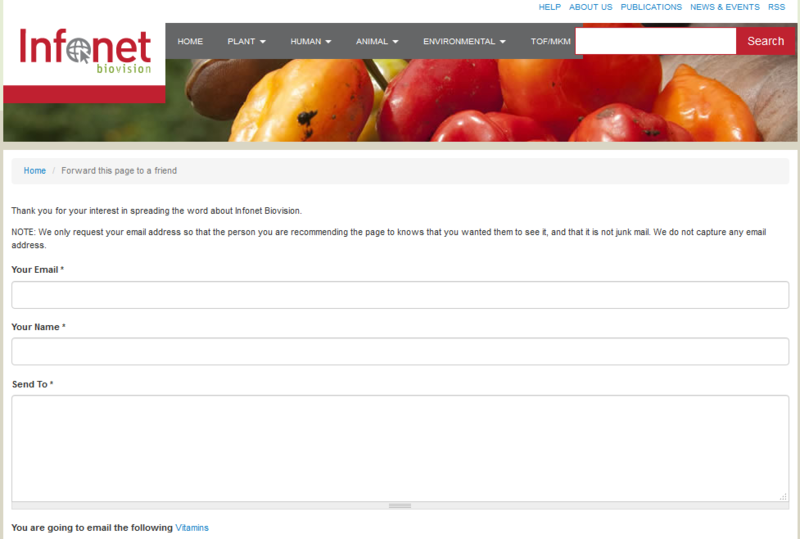 Infonet content can be shared via social media through the social media button. Clicking the social media button opens different social media applications through which one is able to share the specific content. 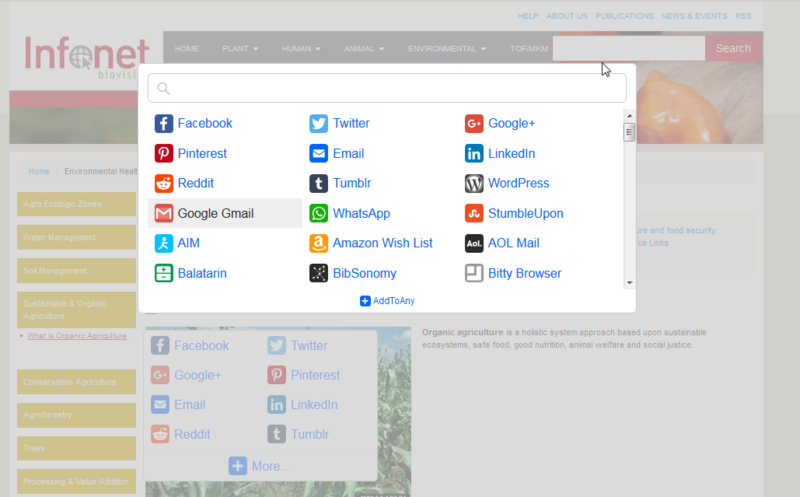 Clicking + More ... expands and displays more social media applications. 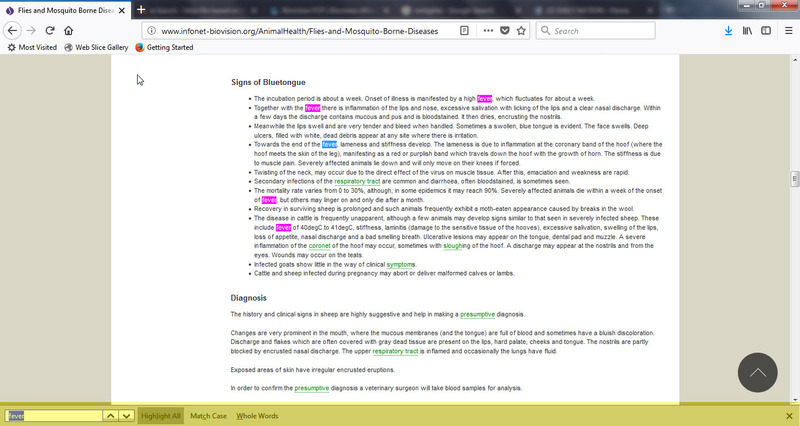 Hovering over a lexicon item, whose text is green in color, will display meaning of the term in a text box as shown. The quick navigation menu is where important but non H related links are. It contains this Help file (HELP), some information about Infonet Biovision (ABOUT US); history, staff members, and partners. Provided is also a link to partner publications (PUBLICATIONS), a link to NEWS & EVENTS as well as a link to the rich site summary also referred to really simple syndication (RSS). 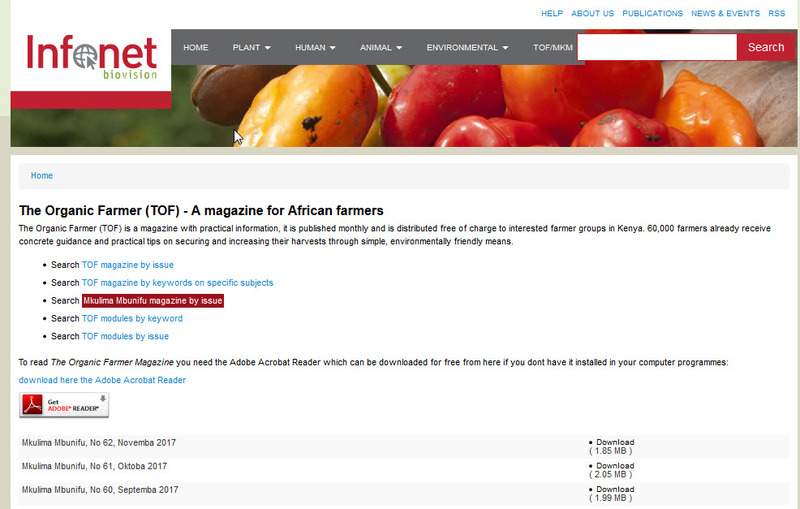 One can download TOF/MKM magazines and modules. Clicking the Download the Infonet offline version here link from the home page opens the Infonet download page. Follow the step by step instructions provided on that page and you will get an offline version. 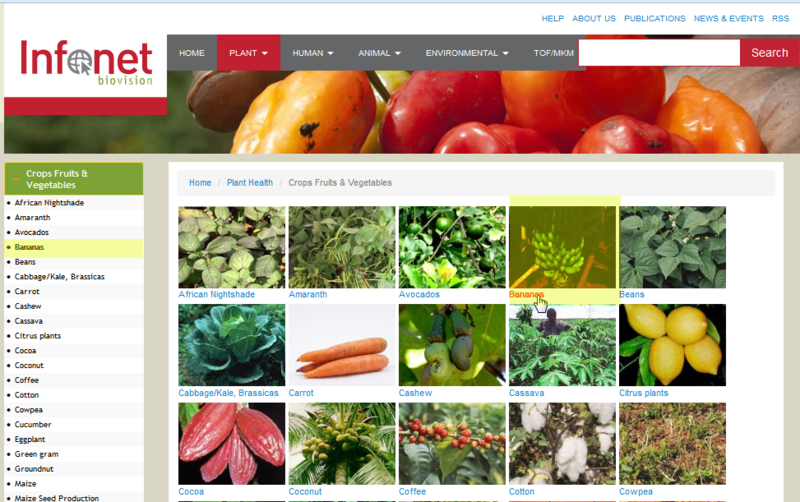 Clicking the News updates button, navigates to the news and events page where you will find the most recent news pertaining to plant, animal, human and environmental health in the website. 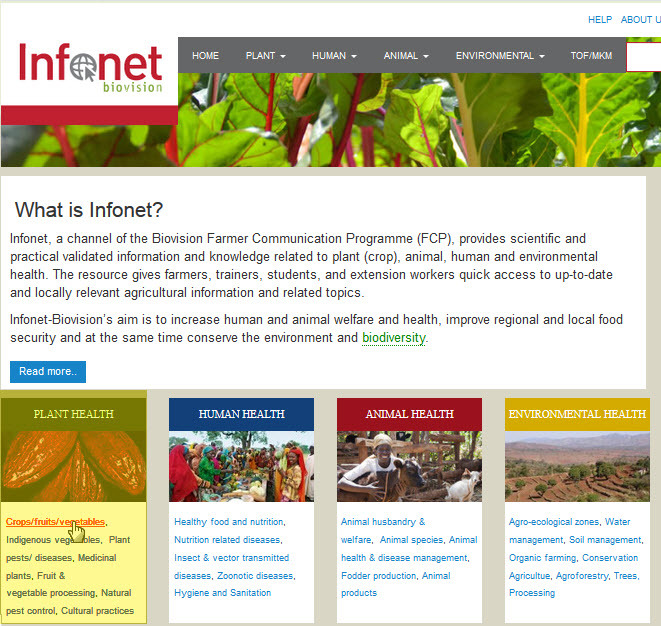 From the homepage, Infonet staff email is provided. Visitors to Infonet can obtain postal contacts for delivery of postal mail as provided on the home page. Physical contact details are also provided and those who can are free to pay a visit to the office. Clicking the contact us form link opens the contact us form shown below. From there you can send a comment or feedback. Message or feedback that you wish to convey to the infonet management. After this, click the Send Message button. Your message will be delivered to Infonet management. Visitors to Infonet can obtain postal contacts for delivery of postal mail as provided on the home page. Physical contact details are also provided and those who can are free to pay a visit to the office. The pathways links shows logos for the other main Biovision partner pathways, clicking on the logo will navigate to the specific FCP pathway website. The partners and funding agencies are represented by their logos. Clicking any of the logos will direct you the specific partner's or funding agency's website. Details of more partners can be found under the about us page. Clicking this link navigates to the infonet disclaimer page. On this page, you will find information regarding Copyright and Content Licensing of Infonet website. All visitors are expected to comply with the license terms and conditions. 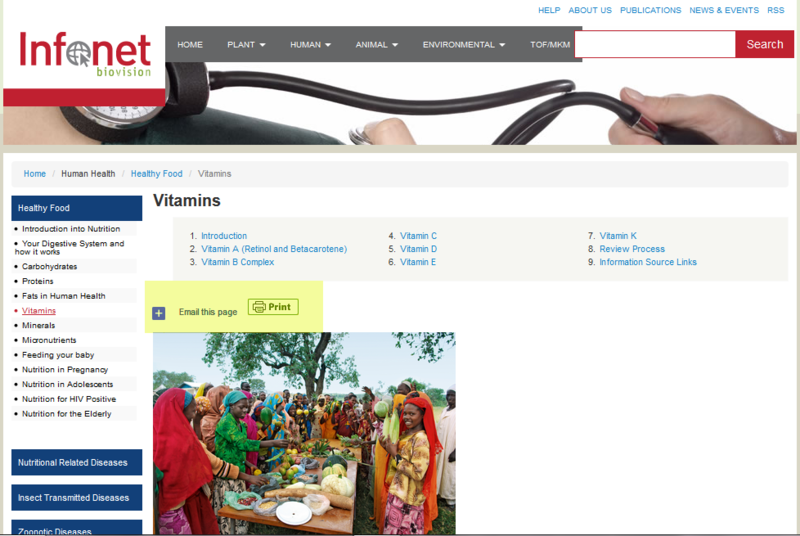 Clicking this link navigates to Infonet disclaimer page. On this page, you will find information regarding Biovisions' stand on Infonet content.